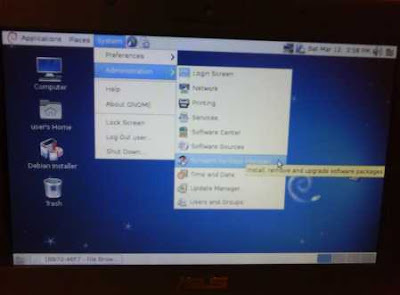 In this short tutorial I explain how I installed Debian Squeeze 6.0 on my Asus eeepc 701 4G using a usb stick and Debian-live. FOREWORD: Formatting drives destroys all data contained there. Before proceeding make sure to backup all important data!!! IN SHORT: Download a pre-built image from http://live.debian.net or alternatively build your own. 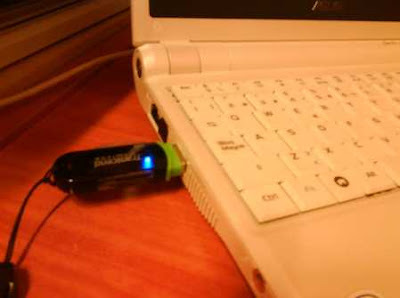 And image it on the usb key using dd. - An Asus eeepc 701 4G to faithfully reproduce every step. Other models will possibly work much alike. - Some overall knowledge of how a Debian system works. 2. Boot the image pressing ESC at the bios splash screen and selecting the usb device from the menu. 5. 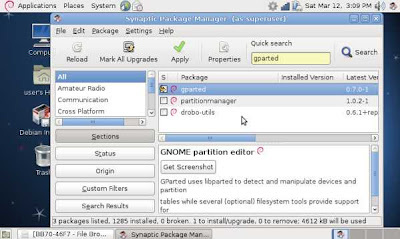 Search for and install gparted. 6. Open a terminal. Type sudo su. Start gparted and delete any partitions. BE WARNED that this will erase ALL data. If there is something important in the drive make a backup before proceeding. Have you? Good for you!!! Create a new partition and format it if you want (Formatting is not really necessary at this point since the installer can do it later. What is important here is to prepare a clean partition as a starting point). 7. Once the new partition is ready. 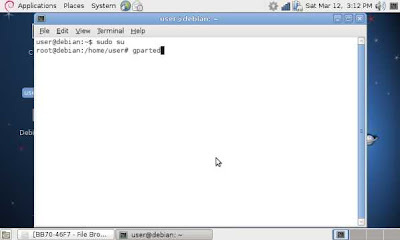 Double click the debian installer launcher on the desktop. 9. Reboot the machine when done and boot into your brand new Debian Squeeze Operating System. Now, as you can see this is really NOT complicated. 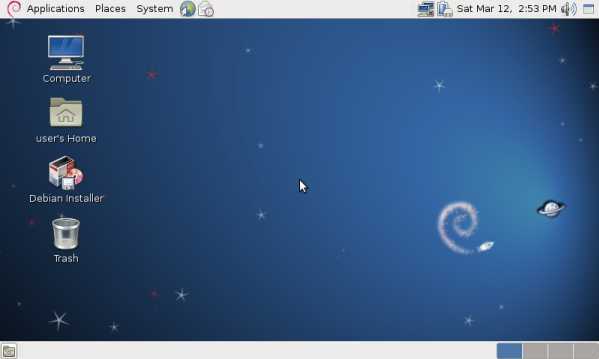 If you have ever installed a Debian system following d-i steps is a blast.